A few weeks ago, one of the world's largest container ships with a capacity of 20,000 TEUs, COSCO Shipping Pisces, approached Piraeus. Visitors – including the author – who were present on pier II of the port, where the ship docked on its first voyage after sailing nearly a month from China, could not but realize the new dynamics in China-Greece relations. From just a small port in the Mediterranean 10 years ago, Piraeus is now becoming a central hub in the region and therefore a preferred destination for giant seafaring vessels. The main reason for this transformation is COSCO's systematic investment policy. It has not been easy for the Chinese company to succeed in Piraeus. Its first engagement in 2009 sparked a strong reaction by Greek trade unions. Port syndicates opposed its privatization and fought hard to keep "unreasonable" privileges that had been provided by several Greek governments in the years of the country's "false prosperity." But most employees realized after a short period of unnecessary strikes and demonstrations that COSCO was their only hope for preserving their jobs and keeping their pensions. Thus their only practical alternative was to return to work and contribute to making what can now be called the Piraeus miracle. 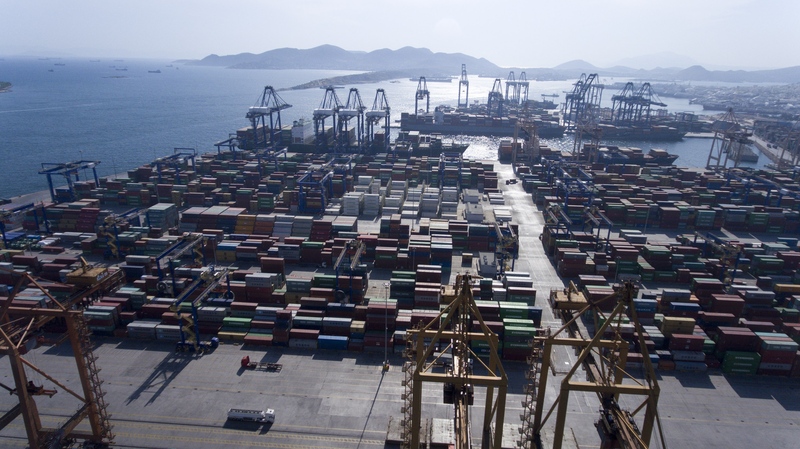 COSCO survived the initial painful experience and started to implement its plan to link maritime and land routes under the framework of the New Silk Road. Undertaking the management of pier II and III and extending the latter, it revitalized port operations and capacity. Trade was boosted as the number of TEUs handled in piers II and III demonstrated an impressive annual increase. 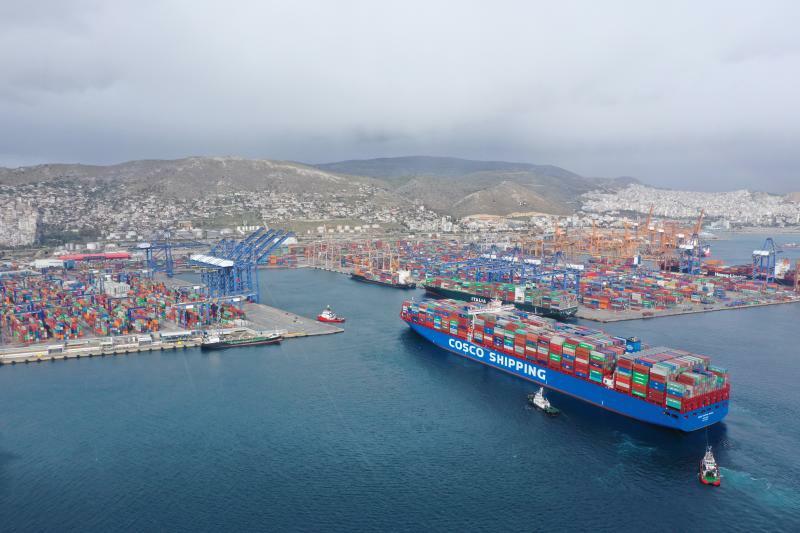 Against this backdrop, COSCO expressed an interest in the privatization of the Piraeus Port Authority (PPA) to expand its activities, inter alia, in pier I and the car and passenger terminals. In 2016, it won a tender and bought a 51% stake of PPA that could reach 67% in the future. The general performance of the Piraeus port has further improved since then. Chinese President Xi Jinping made particular reference to it in his keynote address during the first Belt and Road Forum for International Cooperation in May 2017. COSCO did not stop there and continued to grow the project. Respecting its obligations, which stem from the 2016 concession agreement with the Greek government, it has proposed to further develop the port. The so-called master plan is ambitious and prioritizes construction works, logistics and the management of hotels and a shopping mall. The cruise sector, in particular, is subsequently expected to grow because the necessary facilities for the sector to thrive will be improved. However, the master plan for the development of the port of Piraeus has not yet been approved by Greek authorities. While it was presented in January 2018, successive delays are occurring and bizarre obstacles are cropping up. In the most recent case, a Greek archaeological council decided to obstruct planned investments by characterizing a large part of Piraeus an area of archaeological interest that must be protected. It is not the first time this body has viewed proposed works in a negative light. The same happened with the development of Ellinikon, the old airport of Athens. In that incident, another Chinese company, FOSUN, was affected. The Greek public administration has never been particularly effective in making swift and decisive decisions. The country's creditors are pushing for radical reforms to eradicate this pathogen, but the road ahead still seems long. Under these circumstances, COSCO is highly concerned, especially after the recent bureaucratic torpedo launched by the archaeological council. The Greek government has attempted to appease its fears saying it sees no real threat to the planned investments. COSCO is prepared to make a few minor changes to its master plan without altering the substance of it. The good news is that its 10-year experience in dealing with Greek public affairs has armed it with patience and prudence. The bad news is that 2019 is an election year and politicians are keen on satisfying their electorate including some interest groups in Piraeus who advocate against COSCO's engagement in the port. The current misunderstanding should be overcome in the medium-term. The Piraeus miracle will continue bringing win-win results to Athens and Beijing. Of course, Greek politicians need to better protect the most successful investment that has taken place in the last decade in their country. It is their responsibility to distinguish between critical and superficial issues when making decisions. Greek government should act swiftly to resolve obstacles to further development in Piraeus to ensure a win-win result for China and Greece.